Activists for grassroots women’s leadership on climate change solutions. Providing financial support for travel to international conferences and events as part of a strategic approach to leadership development. Climate Wise Women has supported more than 50 international trips. Ensuring opportunities for women to be heard by policy makers, influencers and the public at international conferences and events. Climate Wise Women have participated in over 100 speaking engagements. Coordinating community engagement for international donors and media with Climate Wise Women communities in Papua New Guinea and Uganda. 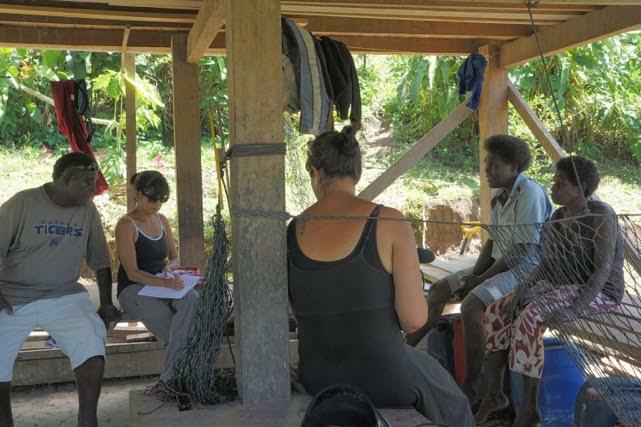 Connecting grassroots women’s groups with international funding opportunities and assisting with grant writing, budgeting, and reporting. Uganda’s Osukuru United Women’s Network has trained over 400 community members in the Tororo District in basic bookkeeping skills, enabling rural women to track the revenues from their harvests and providing a framework for new entrepreneurial initiatives. Climate Wise Women’s mission is to Increase recognition for women’s leadership and climate wisdom and to insure access to the critical resources necessary for their leadership – and their communities – to thrive.